At the front of the resort lies a pure and white sandy beach and the crystal clear blue waters of Tonsai Bay. Rooms provide above average standards of comfort and privacy. Arayaburi consists of 38 Villas including 23 Grand Deluxe Sea-view Villas and 15 Grand Deluxe Villas. Some connecting rooms are available (subject to availability). This is good value considering the low Internet rate and has all of the amenities, facilities and level of comfort you would expect from a hotel of this class. 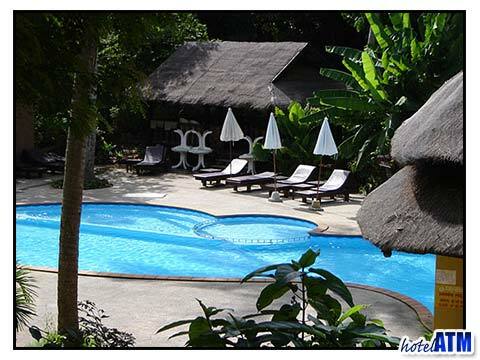 The Arayaburi Resort features in our Top 10 hand-picked hotels for 3 categories, including Best Mid Range Hotels in Phi Phi, Best Beach Front Resorts on Phi Phi, Best Hotels in Phi Phi Don Village.